With a broad range of system-related technical trainings and advanced trainings, a total of 31 Bosch Training Centers worldwide support automotive workshops in keeping up with technical developments concerning vehicle servicing and repair. The training center in Plochingen close to Stuttgart (Germany) develops the courses and trains more than 3 500 workshop employees annually. 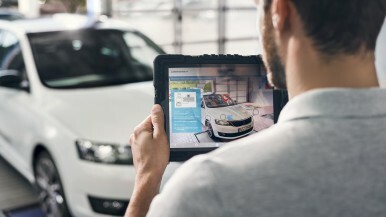 For the first time ever, Bosch will now use the innovative Augmented Reality technology for its technical service trainings thus literally increasing the transparency of the training contents for the participants. During the Automechanika fair in Frankfurt, Bosch offers daily accredited trainings on high-voltage engines. Automotive mechatronics can get acquainted with the new training technology free of charge after pre-registration. By means of Augmented Reality technology, the differences between hybrid and fully electric vehicles, the functions and features of different high-voltage components as well as troubleshooting strategies – among others – are explained to the participants. The transparent AR-assisted depiction provides the mechatronics with a detailed insight into the structure and the functionality of high-voltage components. Besides information on electric vehicle components, the participants are also provided with exciting insights into future learning. 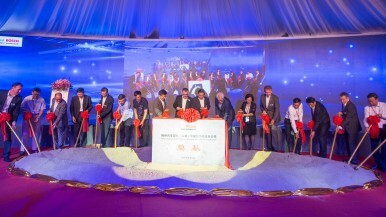 Supported by experts on site, they are able to experience the new Augmented Reality training method live. In addition, AR experts will also show and explain this new technology at the Bosch exhibition stand in hall 9. Starting in autumn/winter 2018, Bosch will offer the first service training supported by Augmented Reality, the two-day apprenticeship for “high-voltage technicians – working on intrinsically safe HV vehicles” carried out at the Bosch Service Training Centers in Plochingen (Germany) and Ballerup (Denmark). Once they passed the final exam, the trainees are allowed to de-energize HV systems of hybrid, electric and fuel-cell vehicles and to work on HV components. An additional service training for the “calibration of driver assistance systems” supported by Augmented Reality is planned as well. Bosch developed a special Augmented Reality Platform (CAP) specifically for AR applications. It allows publishing new contents and applications – also for the training sector in particular – in a device-independent manner. Fed with locally and centrally stored contents, the platform compiles the required data for each specific AR application. This even allows different training scenarios to be implemented. In “Trainer Mode”, the trainer controls the devices of the participants and decides which case shall be displayed on their devices. And yet each participant keeps an individual point of view – for instance onto the engine compartment. The whole group of participants and each and every one of them can actively follow and experience the explanations the trainer provides for each training situation. In “Trainee Mode”, the trainer accesses any participant’s device. He can thus provide useful hints and tips and explain the next steps lucidly. Augmented Reality (AR) complements reality overlaying useful additional information. In case the workshop employee points his smartphone or tablet camera – or even his smart glasses – onto an area on the vehicle’s engine compartment featuring AR information, explanations, 3D objects or videos are added to the real image. In this manner, AR technology shows structures hidden behind panels, for instance, such as the cable harness behind the dashboard. The Automotive Aftermarket division (AA) provides the aftermarket and repair shops worldwide with modern diagnostic and repair shop equipment and a wide range of spare parts – from new and exchange parts to repair solutions – for passenger cars and commercial vehicles. 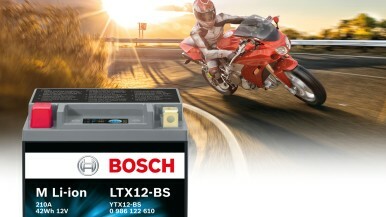 Its product portfolio includes products made as Bosch original equipment, as well as aftermarket products and services developed and manufactured in-house. About 17,000 associates in more than 150 countries, as well as a global logistics network, ensure that spare parts reach customers quickly and on time. AA supplies testing and repair-shop technology, diagnostic software, service training, and information services. In addition, the division is responsible for the “Bosch Service” repair-shop franchise, one of the world’s largest independent chains of repair-shops, with some 15,000 workshops, and more than 1,000 “AutoCrew” partners.